Google AdWords announced a slew of updates yesterday between their Shopping Ads/Product Listing Ads offering and Hotel/Travel search ad offerings. Google added "Hotel Smart Filters" which give you the option to filter hotel search results based on rating or price. You can also search for things like [pet-friendly hotels in San Francisco under $200] or other specific queries and Google will find matches based on those amenities. This feature is available in the US and will roll out globally later this year. Google also launched what we spotted earlier around hotel deal labels in the search results. Also hotel tips which may show the searcher advice that if they change their dates by a bit, it can save them money. 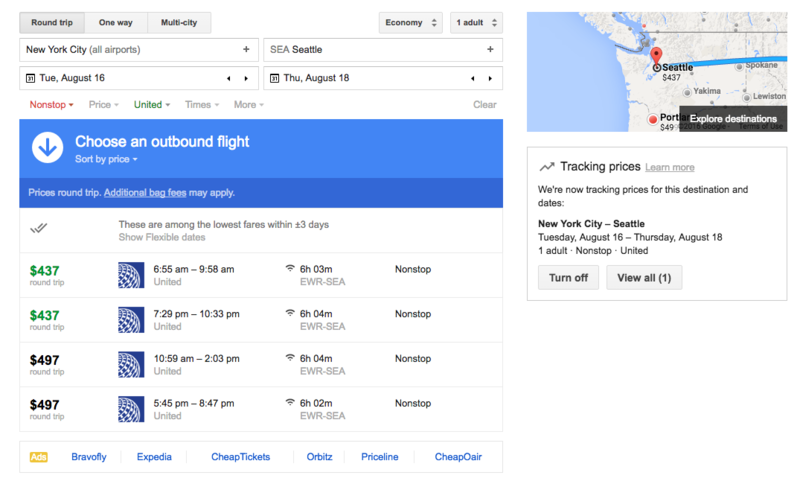 Plus the ability to subscribe to flight prices, so you don't have to check daily to see if the price of a flight has changed or not - Google will alert you. Personally, I am looking forward to using the flight tracking feature. Hope I can restrict it by airline. :) I just set one to play with it and it seems like you can. (1) You click the track button after a search and I set the search to non stop, only United Airlines for specific dates. 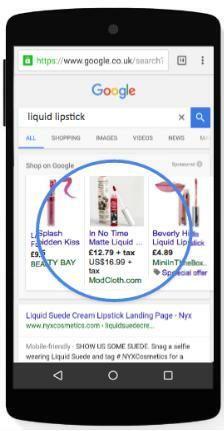 Showcase Shopping ads that give you the richer carousel experience when searching for specific items. This is available for Shopping Campaigns in the US, UK, and Australia will be eligible to have their products automatically appear in Showcase ads in the coming weeks. YouTube added shopping features including a companion banner and a product picker. And now, shoppers in other countries can see the price in their currency, even if the merchant sells it in a different currency.